February 16, 2008 Los Angeles Convention Center. 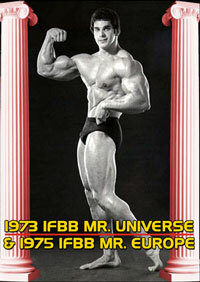 Presented by BodyBuilding.com and Gaspari Nutrition. Photography courtesy Iron Man Magazine. THE 19TH ANNUAL IRON MAN PRO! Held in the spacious Los Angeles Convention Center for the first time, the 2008 Iron Man Pro is always the first pro show of the new season. 2008 proved to be not only the biggest Iron Man event in years regarding competitor numbers, it was also the best year ever for the IRON MAN Pro and FitExpo. The new venue of the LA Convention Centre was huge, the crowds were huge and the competitors on stage were mostly HUGE and RIPPED! PHIL “The Gift” HEATH brought his “A” Game to the Iron Man Pro by presenting his wonderful shape and new improved size and symmetry, while still displaying his famous conditioning. This was Phil’s first Iron Man victory at his first attempt at this title. His overall package proved to be a little too much for Gustavo and the rest of the high quality field. I feel that Phil Heath will do some major damage at the Olympia this year. An outstanding GUSTAVO BADELL pushed Phil all the way to achieve his second placing while MOE EL MOUSSAWI achieved his highest ever placing in a Pro show with his brilliant 3rd place and an a first ever Olympia appointment for September in Las Vegas. This was the best condition that Moe has ever achieved in his career and it was well rewarded. Rounding out the top 5 who all qualify for the 2008 Olympia were SILVIO SAMUEL in 4th place and JOHNNIE JACKSON in 5th spot. The man with the amazing legs, DESMOND MILLER just missed out on Olympia qualification with his 6th placing in this incredibly a tough field. The contest saw an amazing line up of 32 athletes. You will also see the presentation to DANIELLE EDMONDS as the overall winner of the 2008 Iron Man NPC Figure Contest. The complete results appear below. This 2 DVD set running 4 hours was taped with 2 cameras in high quality digital video by Wayne and our new closeup cameraman Howard Feintuch, assisted by Richard Rossan. Our interviewer was Kenny Kassel. 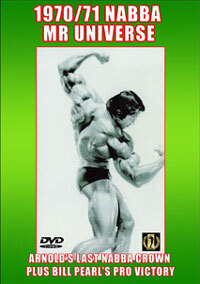 This year’s DVD set is an absolute” must”, being the first ever 2 disc set from the Iron Man Pro. 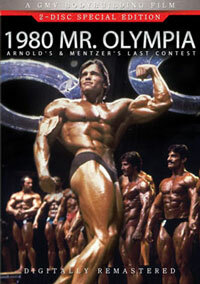 It has come a long way from year one back in 1990 where the Iron Man video ran for 45 minutes with 10 competitors! 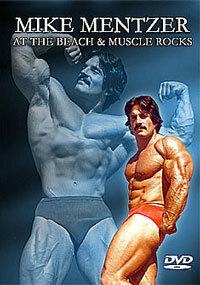 2008 Iron Man Pro - Weigh In and Pump Room DVD. 2008 NPC Iron Man Figure Contest DVD.